Below you can find the life cycle for each version of application Hortonworks Data Platform (HDP), like HDP 2.6, including release dates and end of life (EOL) dates. HDP is the industry's only true secure, enterprise-ready open source Apache™ Hadoop® distribution based on a centralized architecture (YARN). HDP addresses the complete needs of data-at-rest, powers real-time customer applications and delivers robust big data analytics that accelerate decision making and innovation. Hortonworks was formed in June 2011 as an independent company, funded by $23 million venture capital from Yahoo! and Benchmark Capital. Its first office was in Sunnyvale, California. The company employs contributors to the open source software project Apache Hadoop. 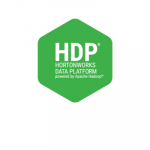 The Hortonworks Data Platform (HDP) product includes Apache Hadoop and is used for storing, processing, and analyzing large volumes of data. The platform is designed to deal with data from many sources and formats. The platform includes Hadoop technology such as the Hadoop Distributed File System, MapReduce, Pig, Hive, HBase, ZooKeeper, and additional components.